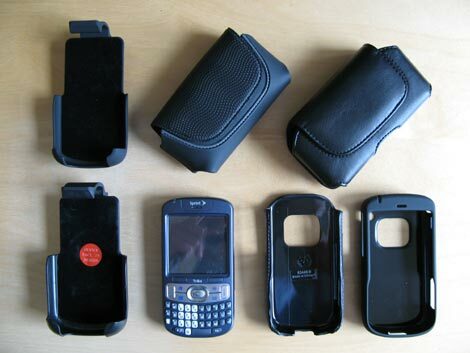 Following the release of the Sprint Treo 800w a couple of months ago and also my recent roundup of the bestselling Treo 800w accessories I thought that I should now take a closer look at the top options available to protect and/or carry your terrific Palm smartphone with a range of Treo 800w cases below. Currently my Editor’s Choice for Best Treo & Centro Case, this all-rubber Body Glove Case (see my review) offers a very slim, modern, elegant and robust solution to carry your Treo 800w by your side. I particularly like the pattern on the front flap as well as the two strong magnets and slim belt clip. Long regarded as the Best-of-the-Best the SPE P6 Pouch Case is one of the Treo accessories with the longest track record of popularity and it’s been a bestselling case for nearly three years now. Thanks to an efficient design, high quality build and convenient magnetic flap this is a Treo 800w case that continues to make its mark and provides terrific value. Please note that both of the cases above also have the benefit to be “universal” cases which means that they will fit nearly all Treo and Palm Centro models. 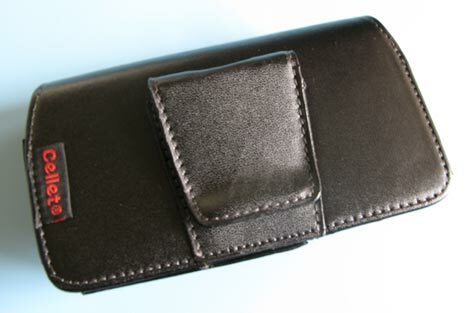 Business people have typically favoured the use of a holster for their Treo 800w as it provides one of the fastest and most convenient ways to access their smartphone while on the go with just one hand. This particular model has always been my favourite as it also intelligently places your screen facing inwards so as to protect it from bumps and scratches. While all of the above Treo 800w cases are designed to carry a “naked” smartphone this Innocase holster is specifically built to accomodate a Treo 800w with a protective “skin” such as the Innocase and new Palm Leather Sleeve below all the while providing the same level of convenience as the normal Treo 800w holster. This excellent and very elegant “hybrid” case from Palm combines both a sturdy plastic inner shell and a high-quality leather exterior to provide a protective case that not only protects your Treo 800w against scratches and falls but also looks great. I particularly like the fact that once you remove the belt clip this Palm Sleeve Case fits perfectly in the Seidio Innocase Holster above and this “combo” is my preferred choice if you don’t want your smartphone to be naked. Power and battery life has been one of the most debated issues with the Treo 800w. However, it’s evident that the combined use of 3G + WiFi + GPS on a daily basis will drain power on this smartphone faster and this is presumably the reason for the popularity of this Treo 800w car charger (along with a battery and spare wall charger) which allows you to keep your device fully charged while driving to or from work or while on the go. Perhaps the simplest way to ensure that you always have some extra power on the go is just to get a spare Treo 800w battery which will instantly double your talk time. As I’ve mentioned on numerous occasions, most seasoned Treonauts know full well that the touchscreen is not only one of the most delicate components of their smartphone but also one prone to scratches if unprotected. These Smartphone Experts Screen Protectors ensure peace of mind. Although its one of the most expensive Bluetooth headsets available the New Jawbone nonetheless also stands in a class of its own when it comes to call quality and outstanding noise reduction. The Jawbone has been my favourite and most trusted BT headset for nearly two years and I categorically would (currently) not consider any other one even if the new Jabra BT530 comes in at a very close second. Adding to the Treo 800w “power kit” this Rapid Travel Charger from Motorola is not only perfect for travel as it’s very small and light but also ideal for recharging your smartphone quickly as it does so in just 120 minutes.